7th Regiment Just in time for the upcoming start of the 2013 DCI Tour, 7th Regiment announced the title of its production, "Luminous," which will feature themes by Kamen, Markowski and Williams. 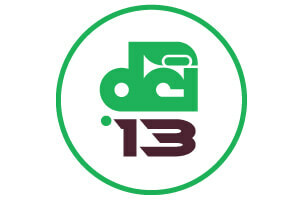 The Academy The Academy posted a list of the rehearsal sites of corps attending the Southwest Corps Connection DCI Tour event which is coming to Mesa, Ariz. on Wednesday, June 19. Blue Devils Check out a preview of the 2013 Blue Devils during the organization's Family Day event on Saturday, June 15 in Pleasant Hill, Calif.
Bluecoats The Bluecoats are in need of a lead baritone player for their 2013 summer season. Blue Stars Blue Stars are in search of a male color guard member for the 2013 season. Boston Crusaders In anticipation of the corps' premiere performance in Akron, Ohio on June 24, the Boston Crusaders are proud to announce the title of their 2013 production "RISE." The show will feature music by Thom Yorke, Eric Whitacre, Glen Hansard, Bill Withers, John Powell, Hans Zimmer and Ryan George. The Cadets Cadets are looking for a "roadie" to assist the corps on its summer tour. A weekly stipend is available. Coastal Surge Coastal Surge is seeking a baritone player and a backfield conductor for its 2013 season (beginning now and ending June 29). Colts The Colts raised more than $33,800 by washing 818 cars during the 26th annual Colts Car Wash, held on June 8. Crossmen Crossmen will be hosting the first-ever DrumLine Battle event on Friday, June 14 in San Antonio, Texas. Legends Legends announced the name of its 2013 production "Ichabod," which will portray Washington Irving's short story "The Legend of Sleepy Hollow" from the perspective of Ichabod Crane. The show will include selections by Elfman, Howard, Schumann and Grainger. Madison Scouts Madison Scouts have an immediate opening for a baritone/euphonium player. Video auditions will be accepted. Impulse Impulse has open positions for color guard members and a lead baritone player. Those interested should attend the corps' June 16 rehearsal in Huntington Beach, Calif.
Music City Music City announced an opening in its tuba line for the 2013 season, and is also accepting applications for brass and color guard prospects. Training camp for brass players begins on Sunday, June 23. Oregon Crusaders Oregon Crusaders will make their first public performance of the season on Tuesday, June 25 during a free concert at Pioneer Courthouse Square in Portland, Ore.
Pacific Crest The Pacific Crest Alumni Association will hold a fundraiser at T.G.I. Friday's in Industry, Calif. on Saturday, June 15. Pioneer Pioneer announced an opening in its color guard section. Contact the corps for more information. Raiders Raiders are still looking for two baritone players, one tuba player, and one cymbal player to join the corps on its 2013 summer tour. Santa Clara Vanguard Santa Clara Vanguard posted the first episode of its weekly online series, "SCV: Backstage" on YouTube. Spartans Spartans will exhibit their 2013 production, "Live Free," at Stellos Stadium in Nashua, N.H. on Saturday, June 22. Spirit of Atlanta Spirit of Atlanta will perform their 2013 production, "Speakeasy," in a preview show held on Tuesday, June 18 at Science Hill High School in Johnson City, Tenn.